In home bar tending service for private parties. We supply the bar tools and the bar tender. The customer supplies the beverages for the event. 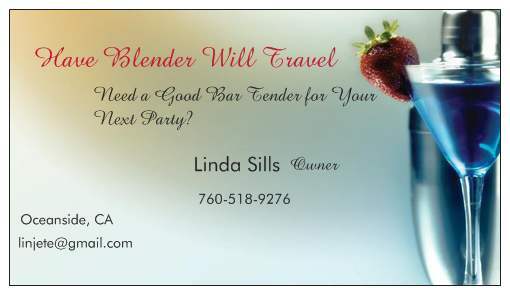 If you need specialty drinks, or party appetizers, let us know that too!